Sometimes known as the 'Fire Flame' tulip or 'Turkish' tulip, the Tulipa acuminata is indeed a rare bulb to find. Growing to a height of between 12 and 18 inches it can create a stunning, almost tropical display from early to mid-spring. Its long, narrow, scarlet and yellow petaloids sit high on delicate stems making it ideal for cut flowers but these delicate heirloom bulbs may need a little support if heavy winds or rain are due. You are unlikely to find Tulipa acuminata bulbs in your usual plant retailers but there is usually a reasonable amount stock available from online stocks. Be aware that the quality of the bulbs can be variable however this is going to be a case of beggars can't be choosers. Although a species bulb, Tulipa acuminata is no longer found in its native habitat. Although catalogue dated to 1813, it is in fact believed to be the last survivor from the early 1700's when tulips like this were all the fashion in the Ottoman empire. So this makes Tulipa acuminata somewhat of a unique find. If you are lucky enough to get hold of a couple of specimens then you will find that they are relatively easy to care for. Plant them from the end of autumn onwards into a fertile, sandy soil with a neutral pH situated in an open and sunny location; however they will need to be protected from excessive damp and strong winds. In heavier soils add a handful of grit just below the bulb. Avoid soils that are prone to waterlogging as the bulbs will be prone to rot overwinter. Once planted (three times the depth of the bulb), give them a good top dressing of household compost which has thoroughly decomposed and neutral pH. Do not use heavy manures or nitrogen rich chemical fertilisers. 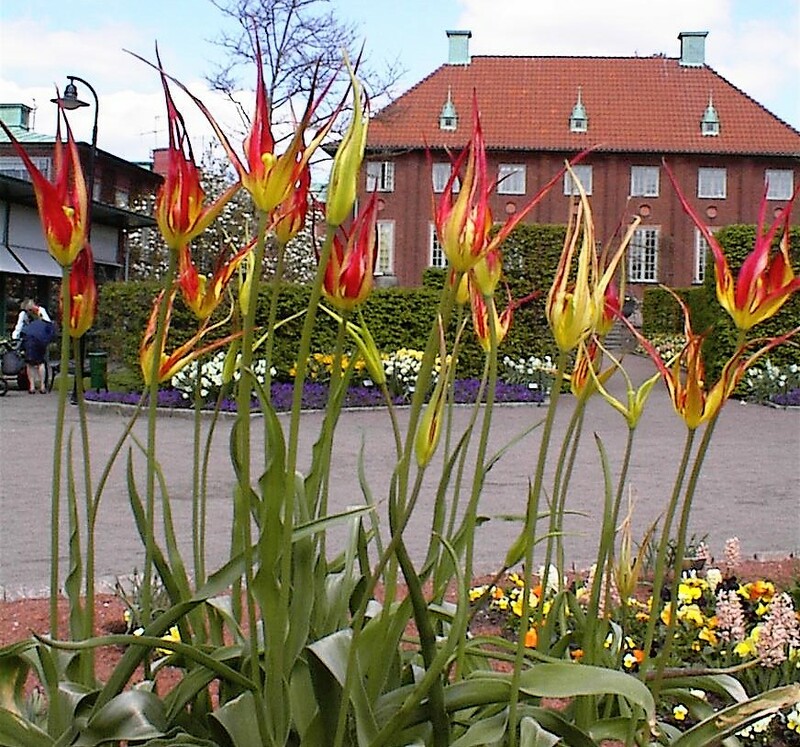 Unlike most cultivated varieties, Tulipa acuminata can be left in the ground and allowed to spread naturally. Once planted give them a good top dressing, and start to water your bulbs as soon as you see the buds beginning to rise. This will encourage larger blooms and taller stems. Remove the flower heads and seedpods as the blooms begin to fade. Allow the old foliage to dry off before cutting it back as this will allow most of the nutrients and carbohydrates to be absorbed back into the bulb proper in readiness for next year's display.